Have you been searching for a shock that does it all? Are you looking for a shock that can handle the rigors of auto crossing, road racing and drifting? Then look no further than Tokico’s HTS line. With a large range of adjustability combined with affordable pricing the Tokico HTS line is sure to fit your performance budget. 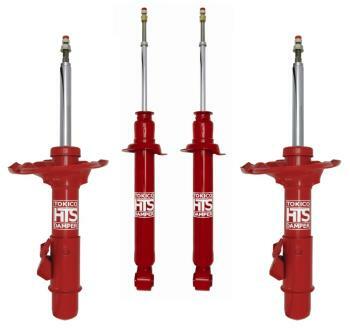 Tokico HTS Dampers have been developed with an entirely different concept than traditional adjustable gas shocks. Instead of a shock that would be adjusted to “hard” on the track and “soft” on the street, the HTS Damper was developed to allow users to set up their suspensions to “move” the way they want, all the way from smooth, comfortable ride quality to race-ready setups for clocking record lap times.The HTS Damper gives users a huge range of adjustability and performance for all users and can be considered the ultimate street damper. 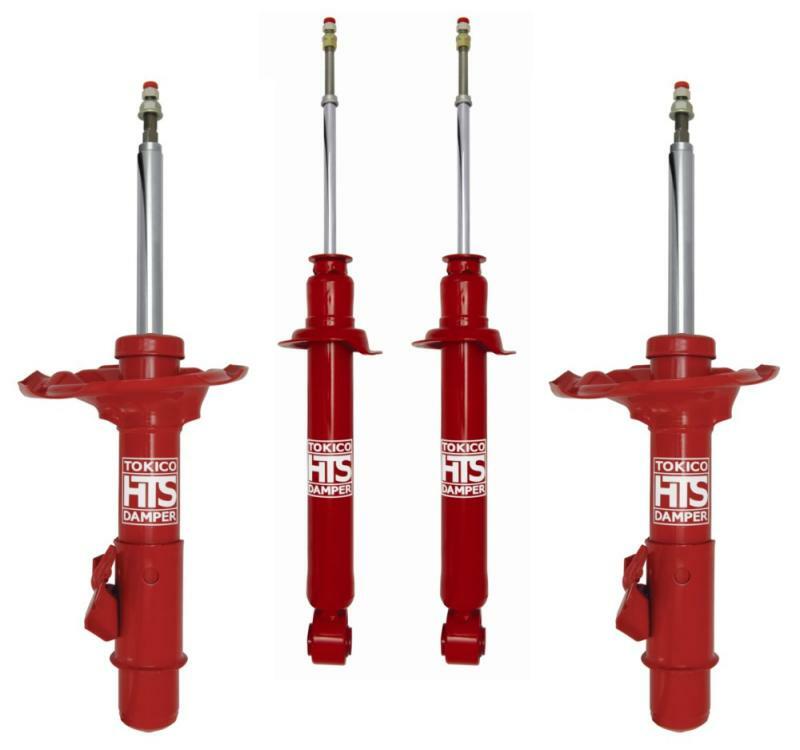 Tokico HTS Series Shock Kits include a matched set of four Shocks/Struts to ensure performance all around.